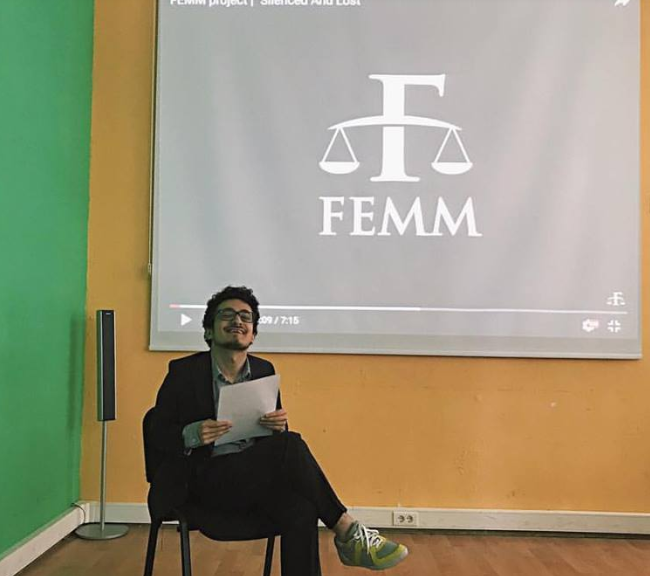 FLEX Alumni Coordinator Sabina Suleymanova’14 (Baku, Azerbaijan/Traverse City/ MI) interviewed Emil Hasanzade ’15 (Baku, Azerbaijan/Monroe, WA) regarding his project, FEMM, based on gender equality and feminism in Azerbaijan. Through the FEMM project, Emil created a film entitled ‘Silenced and Lost’ that was chosen to be screened at the Women’s History Month Festival in Newark, New Jersey. I am a 20-year-old International Relations student at the Anglo-American University in Prague, Czech Republic. My life is divided between my commitments for studies, filmmaking, friends, and family. It’s a bit stressful, yet quite fun! I lived in a suburban town in Washington State, Monroe, about 20 minutes away from Seattle with an incredible family, the Maxsons. My FLEX year helped me to evolve into a more productive, more ambitious, and more progressive individual. How did you come up with the idea of starting the FEMM Project? The idea to create a visual-based project related to feminism and gender equality popped into my mind in August 2015 immediately after returning from the U.S. One of my inspirations was Emma Watson’s interview for British Vogue and her HeForShe campaign with UN Women. 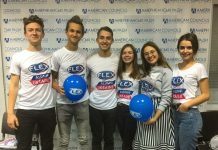 In addition to this, I realized that the core for the project was a colossal change in me; I started becoming extremely aware of social issues in my homeland, Azerbaijan, and was trying to shift the situation for the better. 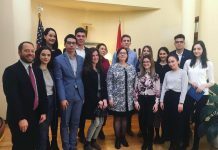 Later on, I gathered the team that has since contributed greatly to the project: project co-founder Nazrin Azizova, Benjamin Franklin Transatlantic Fellows (BFTA) program alumna Elvina Mustafazade, Ulviyya Akbarova ’15 (Baku, Azerbaijan/ Pittsfield, MA), BFTA program alumna Ayshan Aliyeva..
What are the main goals of your project? The most critical purpose of FEMM project is to spread awareness about gender-based issues in the country, including domestic and gender-based violence and the pay gap between sexes. I also want to inspire & motivate young Azeri girls to follow their dreams despite society-based stereotypes and to become active citizens. Through the program, we tried to break stereotypes about traditional gender roles, by highlighting Azerbaijani women who are breaking through these, including: the first Muslim ballerina and the first female pilot in Eastern Europe, both of whom are ethnically Azerbaijani. 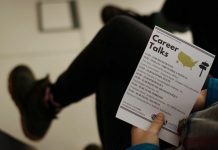 What are the main problems for women in our society and how you think you can help them through your project? The most troubling aspect, from my point of view, is the issue of domestic violence. Most women fear reporting cases to police, or in other cases, feel that domestic violence is normal. We have touched on the topic of domestic violence through our film ‘Silenced and Lost’ by revealing three true stories of Azeri women that are domestic violence survivors. Revealing social issues of a nation through visuals is essential, as women who have experienced domestic violence can understand that they are not alone and that what they are experiencing is not normal. We also visited a women’s shelter and had the chance to interview one of its residents. The visit, which took place before our film shooting, helped us to deepen our knowledge of the level of the issue in the country. I also want to add that domestic violence is an issue in every part of the world. It is surely not an ‘Azerbaijani thing’, so to say. A lot of people have a very negative, even an angry, reaction to the word “Feminism”. How do you think we can change it? The negativity comes from prejudice and lack of knowledge in regards to the word ‘feminism’ and what it actually means. It is important to mention that there are different waves and types of feminism. I am not fan of labeling, but if I have to, I would identify as a non-radical feminist who believes that both sexes should play an equal role in reducing and eventually eliminating gender-related issues, stereotypes, and forms of prejudice. We should simply talk about feminism. If the word is spread, then nothing can stop it, meaning that both through our words and actions we, people who care, should explain the real definition of what feminism actually means. It is a big success to have your movie “Silenced and Lost” being screened at the Women’s History Month Festival in Newark, NJ. Can you tell us more about this movie and its creation? The festival truly means a lot to me. The film was selected when I was deciding if I should continue filmmaking and if a career in film had real purpose. As I have previously mentioned, the film opens up with stories of three women and the way they dealt with domestic violence. The women allowed us to use their life stories, yet we had to change some aspects for the film, such as their age and number of children. It was created over a four month period. I’m currently working on a new film. The film is going to touch the topic of Azeris living in Prague and I hope to release it in midsummer 2018. Be loyal to your dreams and work on achieving them, don’t let anyone to stand in your way. If you want to be a boss, then be one, don’t pay attention to what misogynists say.